A couple of days ago Ignazio sent us some photos, taken at Isola dei Conigli, in Lampedusa. Beautiful sea, beautiful landscape, beautiful Ignazio. In the silence and solitude of the place, Ignazio hugged his guitar and began to sing. I immediately shared this video in the comments with you, but maybe not everyone has seen this beautiful video, which now I want to propose to your attention. Of course, it’s NOCHE SIN DIA, this acoustic version is beautiful. I really like it. Ignazio plays it and sings it in a delightful way. Moreover, the fact that Ignazio plays this song, in moments of relaxation, proves that he really likes this song, so much so that he made his version of it. And now we admire the panorama of Lampedusa ……. and Ignazio’s close up!! But how much fun is Ignazio? It’s really a pleasure to see him so happy and relaxed and to hear him play his guitar. 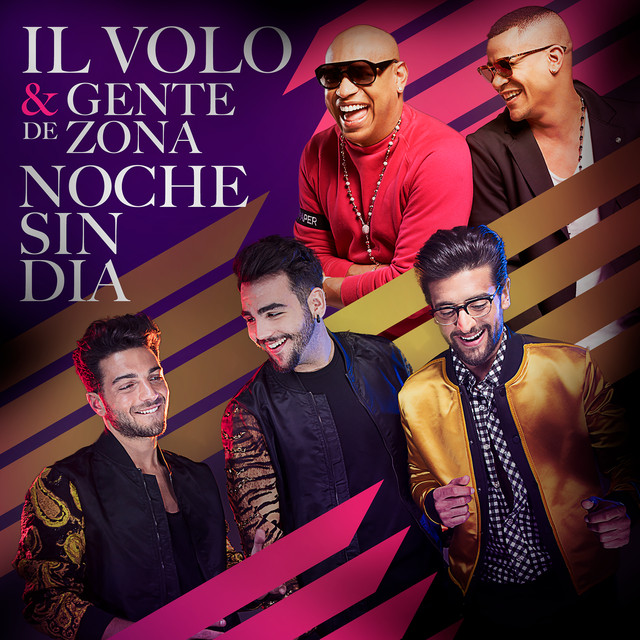 By the way, did you like the version of NOCHE SIN DIA? Previous PostThe Charm of the Voices of IL VOLO by DanielaNext PostLast Call for Piero’s Birthday! Thank you so much for your entry! I really enjoy all your writings, pictures and videos of our beloved boys. I love Noche sin día. My friends in Mexico told me that they are using this song in their Zumba classes! It’s becoming popular! Emilia, I’ve already seen 3 videos of Noche Sin Dia with Zumba lessons and I like them a lot. I think the rhythm is right and engaging for this kind of lessons. Thanks for the compliments Emilia! Of course his version is the best. Just pure Ignazio. He is my treat of the day. There should be an award for best sushi catcher too. Thanks Daniela and pitterpat. Do you know what the occasion was for the party? You’re welcome, Rose! I don’t know the occasion. Maybe Daniela knows? RoseMarie, I had no doubt that the version of Ignatius of Noche Sin Dia, for you was “the best”. I do not know what the party was about, maybe it was just a simple meeting with friends, but certainly seeing the joy and simplicity of Ignatius ….. is an irresistible thing, with him every day is a party. Daniela thanks again for posting things that are happening in Italy. I think Ignazio is changing his image. “The Wild Boy”? I have noticed that at the last few appearances they are back to dressing different from each other. Yes, Gina, did you notice? almost to show that they have distinct personalities, that everyone has their own personality. But it is their hearts that are united, do not you find? Oh that voice!! Love his new curly hair too. Best version of the song in my opinion. Thanks so much, Daniela, for posting about our boys. Lynn, his voice is absolutely magnificent … … regarding his hair … I admit that in the disheveled version, with the sea behind her, she looks like a “beautiful and damned”, but I prefer it in version smooth !! Daniela, this is my all time favorite of Igna. He looks so handsome in this interview. I think the curly hair makes him look younger. Daniela, I agree that his hair in this picture is so much better than the curls.I also like his version of Noche Sin Dia best. I didn’t even recognize it until you told us it was the same song! Am I right in saying that the guys band did not go on tour with them last year( I know they had large orchestras on stage with them) but even on most tours they had their band and an orchestra. RoseMarie, also for me, in that interview Ignazio is always at the top. When I was looking for this photo yesterday, I knew you’d comment, I know it’s your favorite photo. Ah Daniela, I have many “favorites” depends on the day and my mood. I have so many on my phone, on my computer and tablet. One day I will make a book. Grazie mille for sharing your thoughts. Jill, you really did not recognize Noche Sin Dia? Beautiful, this acoustic version, thinks that there is an Italian friend of mine who asked me if it was a new song taken from the CD that will come out in the fall, when I told her it was Noche Sin Dia, she did not believe it! I think Maestro Grani’s band did other work in the meantime. I’m not sure there will be a band following Italian concerts, although I’d like to, but I’m pretty sure I’ll find Maestro Diego Basso, it’s already been announced. RoseMarie, this photo at what day or at what mood does it match ???? I like this version better and I also like Ignazio singing it. Thank you. Yes, Astrid, he and Alessandra are separated, he admitted it during the interview with Red Ronnie, said that the couple had been in crisis for some time and preferred to leave, rather he said that it was more a decision of his . I think Alessandra as a type, liked everyone, but perhaps Ignazio was too forced by this relationship. Since she’s gone, Ignatius has taken to be calm and playful. Daniela, this post I make is in regard to the video you sent me of Pooh performing Uomini Soli, thank you very much. I think it is a beautiful piece and I can see (hopefully) Ignazio bringing it to perfection in the future, and once again, I would love to hear all three sing it together. Don’t mean to be repeating myself, but it’s just one of those songs that really appealed to me the first time I heard him sing it. Seems like it’s just made for them to sing. Mark, I think you’re absolutely right, this song is perfect for our guys’ voices. We hope that in the future, this song will be included in one of their concerts. I’d be very happy. Hi Pat, a while ago you gave us a link to a Il Volo live performance in Italy on this site. which worked nicely for me and now I was wondering if you have the link to the to the Elvis Presley show that is happening tonight. For some reason here in South Africa I am not able to reach the Rai1 or the Radio station or any other event anymore. Dear Pat, if you had the link I would like it too …………. unfortunately, Ineke, this concert will not be broadcast on TV or radio. We hope that some fans will make videos !! I will look on YouTube the next couple of days to see if anything shows up. I have been seeing little video clips of the evening already on Instagram. Just saw Priscilla introduce the boys. They only sang one song, It’s Now or Never. It was nice to hear them sing in English for a while. Yes, they were good RoseMarie, they did well to sing in English, it was a tribute to Elvis. Priscilla’s words are very beautiful! Thank you Daniela, I agree, let us hope that some fans will make some videos. Ineke, I just heard of a friend who will be present, we hope she will be able to film. Also I knew, that IL VOLO will do only one song. Thank you so VERY MUCH for all you do to keep us connected to the “boys”. They have really relished this time off, as evidence of Ignazio’s willingness to share on Instagram. It think we sometimes forget that they really are young…Ignazio’s post is something a newly minted college grad would do on summer vacation with his friends! I love it! I also love his version of Noche sin dia. I wonder if the delay in the release of the new CD has anything to do with tweaking it to suit a wider audience? I would love to be European this summer, so I could see them in their “concert” appearances. I wish for you and yours a wonderful summer! And, thank you again. Hi Sandi, I’m glad they are enjoying their time off too. We see them as mature talented young entertainers and forget that they are just young guys who want to have fun. I’m just happy that they share their lives with their fans. Hello Sandi, you’re absolutely right, we often forget that these guys are very young. I think that if the project of Latin music was made to acquire more audiences, especially very young audiences, well, because lately I see the young boys dragged in horrible music and in very low examples of life. Following IL VOLO can be an excellent incentive to improve. 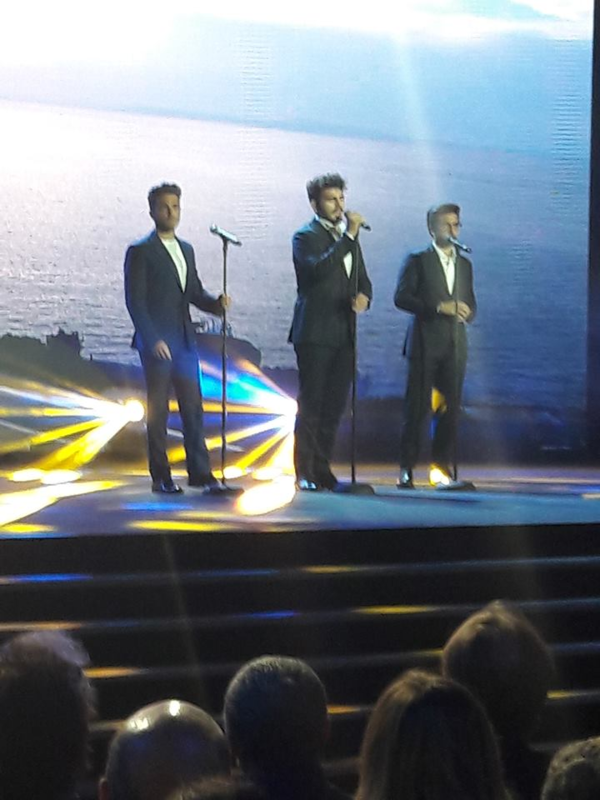 Moreover IL VOLO, deserves all the possible success. Thanks to follow us and give us your opinion. Dear Daniela, I know that sometimes the “translator” does not translate what we mean to say. Can you please explain what you mean by “dragged in horrible music and in very low examples of life”? Is it the management team? Thanks RoseMarie, which gives me the opportunity to explain better. this music every day), to listen to music not of quality and to admire certain singers, which are certainly not examples to follow. In short, I was talking about young people who listen to music, for them to listen to IL VOLO would be very positive, both because it offers good music but also because Piero GIanluca and Ignazio, personally are good examples to follow for education and altruism. Excuse me if I have not explained well, what an ugly thing not to have the same language. Let me know if now you understand the meaning I wanted to say. wonderful Italian voices in person. I can dream can’t I? Thanks so much for taking time for us and I know you are on vacation too. Hello Carol, first of all I’m sorry to hear that you’ve had a stroke, surely everything is improving, but surely you can not fly. But do not worry, the guys, or rather, Torpedoes, has already promised that they will come for an American tour, so you can hear and see these delicious artists up close. No, I’m not on vacation yet, I’ll go in August, but in a month I’ll be at the Marostica concert to see IL VOLO, how wonderful, I’ll give you a report of the whole concert. I recommend, careful to health.